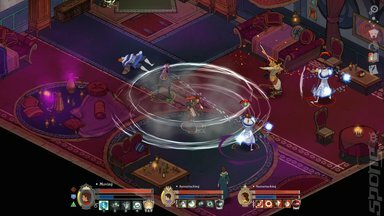 I first encountered Masquerda: Songs and Shadows at PAX West 2016, but I played it briefly as they were closing the show down. I ran out of time as I tried to fathom what was going on in the strange alternate reality Italy where magical masks bestowed powers on the people who wore them, even though they did not know how they worked. 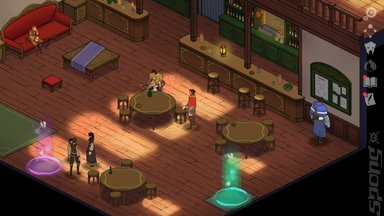 Fast forward to PAX East 2017 and I managed to spend some quality time with Masquerda: Songs and Shadows. This single-player RPG has the player take on the role of the brother of a murdered dignitary in this alternate history game. It places magic/technology front and centre for the player to experience, use and understand far more than others in this strange world could ever hope to. There are two major components to any RPG that have to be just right in order for it to be in any way a worthwhile experience - story an combat. The story has to be a good one in order to gain player engagement and Masquerda: Songs and Shadows is certainly that. It is riddled with family feuds, intrigue and general skulduggery that would put the average episode of Game of Thrones to shame. So, having conquered the story how does Masquerda: Songs and Shadows's combat engine fare? Well, it uses a hybrid real-time/turn-based system that allows the player to carry out real-time attacks while pausing and launching special magical assaults, provided the character under control has enough magical power to commit to such an action. I found this system to be very intuitive as I shifted from character to character within my party, hurling destructive attacks against the enemies. 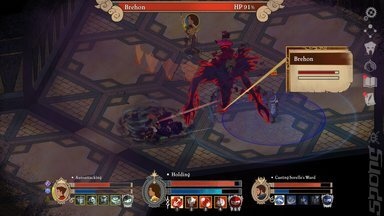 All of this is presented a beautifully animated isometric view that is very akin to the Banner Saga games, only this time the combat is real-time, not turn-based. The sound is astonishingly good with a full orchestral score and convincing voice acting that thankfully does not sound like a Radio 4 Sunday Afternoon play (I'm looking at you, Everybody's Gone to the Rapture). Masquerda: Songs and Shadows is currently out on Windows PC and is due to be released on the PS4 later this year.